STANFORD, USA, Nov 9 2018: Students who enjoy building, being creative and helping others might consider Engineering 110, Perspectives in Assistive Technology, a winter quarter course that focuses on creating technological solutions to the challenges and problems faced by the growing population of people with disabilities and older adults. The course explores the design and use of technology that benefits these populations. For 3 credits, students will pursue team-based projects that address problems faced by users of assistive technology. Each project team will work with an individual with a disability or an older adult from the local community to fully understand a problem or challenge, including reviewing existing technologies and products. The next steps are brainstorming possible solutions, selecting a particular design concept, and fabricating and testing a series of increasingly refined prototypes (which are typically mechanical devices). Teams utilize the resources of the Product Realization Lab to fabricate their prototypes. At the end of the quarter, teams present and demonstrate their design in class and submit a final comprehensive report that encompasses their entire quarter’s work. Each student will also individually reflect on their course experience. A 1-credit lecture-only option is also available for students whose schedules do not permit working on such in-depth projects. The course is open to all undergraduate and graduate students from any major and there are no prerequisites. However, for students interested in working on a team project that involves fabricating a device, it’s recommended that they consider waiting until their junior or senior year after they have taken a fabrication course such as ME 203. Students who have taken the course have developed a vast array of technologies. Last winter’s team projects included a wheelchair work tray and leg braces. One team developed a grasper that mounts to a wrist or hand brace of someone with carpal tunnel or other hand impairment, while another team used electronic sensors and electromechanical systems to create alternative ways of controlling a prosthetic hand device. Along with team projects, the course includes tours of local engineering labs and medical facilities. 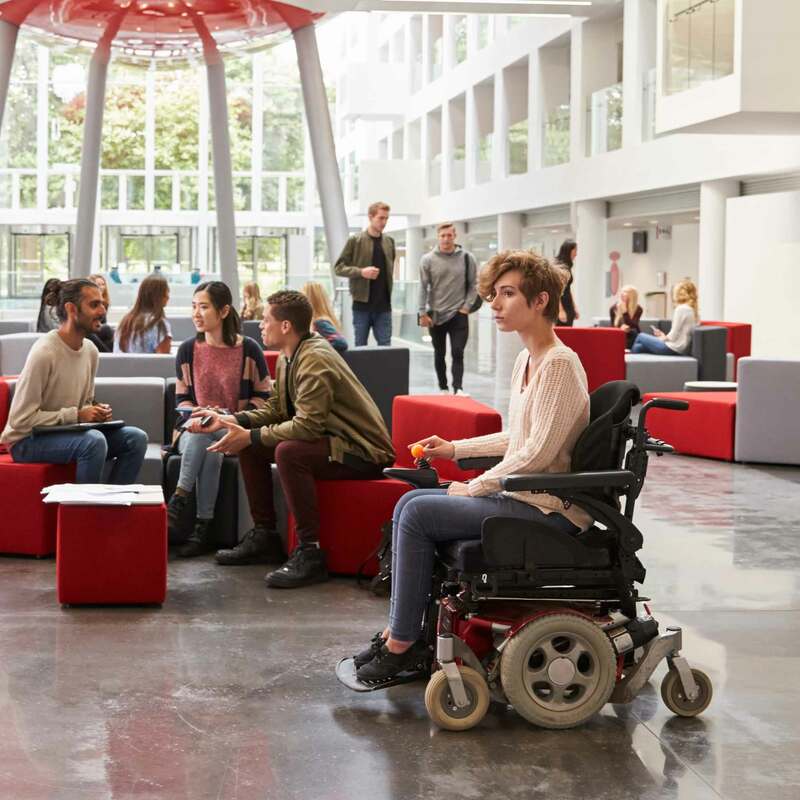 Students will get the chance to visit the VA health facility in Palo Alto, where they can examine assistive technologies such as hand-powered bikes and wheelchairs adapted for sports. Students will also hear from Stanford students who have a disability as well as engineers, researchers, therapists, entrepreneurs, clinicians and other experts in semi-weekly presentations. Matteo Zallio, a Fulbright scholar from the Dublin Institute of Technology, is slated to speak to the class this winter. Now in its 13th year, the course is taught by David L. Jaffe, lecturer in the Mechanical Engineering Design Group. He says the course offers students valuable skills that extend beyond engineering. “I consider the assistive technology aspect of the course as a framework for students to learn and practice skills that they will need after graduation: working in a team, engaging the community, following an engineering design process, fabricating and testing prototypes, employing critical thinking, and enhancing communication skills through oral presentations and report writing,” said Jaffe.